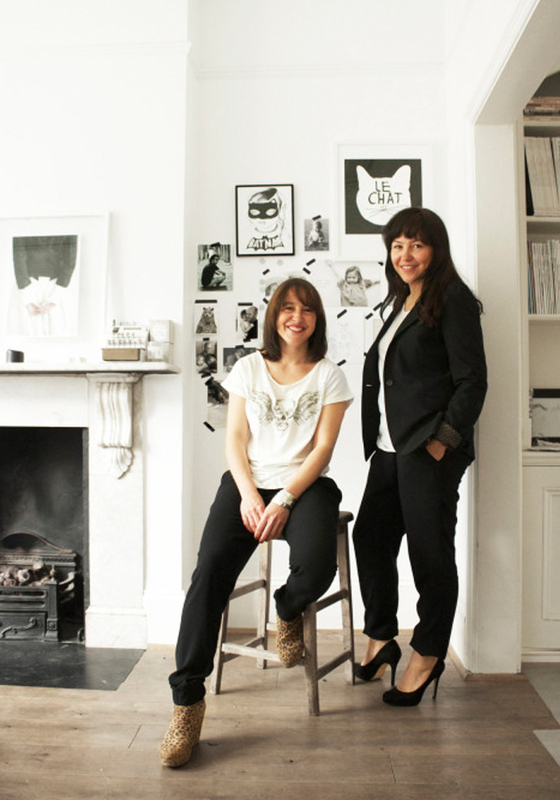 What is your work: Founder and Creative Director (with my sister, Elodie) of award-winning online concept store BODIE and FOU and professional blogger. Describe your work in 5 words? Inspiring, challenging, rewarding, fun and busy. Why do you love what you do? I love the freedom and creativity it gives me, discovering new designers, meeting inspiring, creative people and share their work with customers who love what we find. What can’t you work without? My iMac and my team. I am surrounded by great people who love what they do – and are good at it. Who or what inspires you? Pretty much everything! A photo, a design, a sense, an emotion, my travels, my family and friends, someone’s styling. Jean-Luc Goddard said, “It’s not where you take things from, it’s where you take things to.” I look at the world through images, which is why I love Pinterest (http://pinterest.com/bodieandfou/) so much and I absorb everything to then bring out my own vision of things. What is the best advice you have received? Make sure you have cash in the bank and Steve Jobs’ quote, “It is better to be a pirate than to join the navy.” I like the idea of being a fun, maverick pirate, someone who breaks the mould and tries different things. What are you working on at the moment? We’ve just finished our AW/12 mail-order catalogue, which is very inspiring, thanks to my team and Francois, our photographer (http://www.facebook.com/francoiskongphotography?ref=hl). You can request a copy here (http://www.bodieandfou.com/catalogueform). We are now focusing on going through the Christmas period, which is always hugely busy for us while remaining calm and smiling! Then we will tackle the SS/13 catalogue and bring out another new, beautiful collection. What’s your proudest career achievement? Receiving an award for our first mail order catalogue – being recognised by Catex and Ecmod, two bodies that gather together professionals of the UK direct marketing industry. Also being featured in Living Etc’s ‘My Interior Life’ page. What’s been your best decision? Listening to my gut feeling. Which phrase do you most overuse? C’est cool! What single thing would improve the quality of your life?Living by the sea! It gives me a huge amount of energy. For work, I would love to have a proper photo studio. I styled the whole BODIE and FOU collection in my home, and it would be nice to have space where I could style larger room shots and put as many nails in the wall as I want, to create a striking background. I can’t do that at home! What has been your hardest lesson learnt? Not having cash in the bank when the economic downturn hit the country in 2008. We had the bailiffs at the door and I have never been so scared in my life. Saying that Christmas that year was our best since we launched and we have never looked back. If you could do another job what would you like to do and why? I have my dream job already, but I would like to be able to dedicate myself full-time to the creative, and brand management side of the business. To create more inspiring catalogues, and spend more time on interior styling, rather than running the day-to-day business as I currently do. If you had an extra hour each day what would you do with it? Hang out at home – I run three times a week at 6.30am but straight after, it’s shower, breakfast and off to work. It would be nice to have just an hour for myself to do my own things. What dream do you still want to fulfil? I’m living my dream already! I had a vision of an online boutique with unique designs, and a real sense of passion and community and we’ve achieved that. Ultimately, I would like BODIE and FOU to become a global lifestyle brand with flagship stores in London, New York and Sydney, and roll out the brand into digital magazines and TV shows – a bit like Martha Stewart, but more modern! How would you like to be remembered? As someone who created a beautiful and inspiring interiors concept store and lifestyle brand. How nice …. I like your blog very much . I am a graphic designer. Also i have a IT firm. I read this post. This is very useful for me.Thanks fot this post. These are really nice conversation in the interview site, and there included lots nice design and nice food photography. For graphic designers this post got lots of learning material, which can be very much helpful for the people, thanks for sharing your nice ideas.